Picture it: the freezer breaks and you’re scrambling to save all your frozen food. In a home, a big cooler or the generosity of a neighbor may solve your problem – but for a grocery store, the goods in a broken freezer cannot be housed at a neighbor’s house until the freezer is fixed. 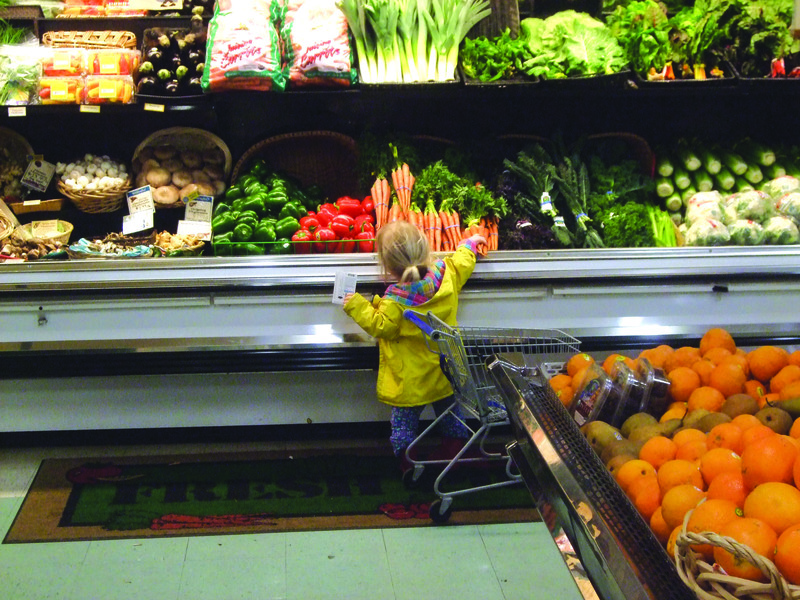 The freezer, top of the line when it was purchased in the 1970s, was just one challenge faced by First Alternative Cooperative, a community co-op market in Corvallis, Oregon. Along with replacing equipment, including its critical point-of-sale system, which was past its prime, the grocery store needed to make some building improvements and consolidate debt to improve its cash flow. As the co-op’s board of directors was seeking a $1.6 million loan to finance these improvements, it approached the National Cooperative Grocers (NCG). Through a unique program in collaboration with NCG, Capital Impact provides financing to co-ops seeking to expand, consolidate debt, and make capital or infrastructure improvements. 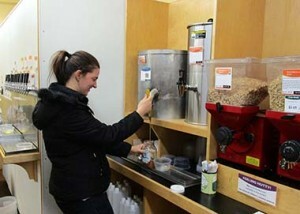 What’s really exciting about this program is that it operates very much like a co-op. Member co-ops invest in a fund that lends money to other members for exactly the improvements First Alternative was looking to make. “We have been excited about this innovative partnership with NCG, which combines investment support from their members with our capital to create a flexible, low-cost loan product to benefit natural food cooperatives nationwide,” effused Scott Sporte, Capital Impact Partners’ chief lending officer. “The technical assistance that NCG is able to provide its members, combined with this flexible financing, can really help co-ops expand to new opportunities.” As part of Capital Impact’s 35-year history promoting and scaling the cooperative model, First Alternative was the perfect fit with Capital Impact’s priorities. Getting a loan can be a challenge for a small business, and this fund enables co-ops to support each other, thereby strengthening the sector as a whole. In Corvallis, the fund helped First Alternative purchase new equipment, complete renovations to both of its stores, do several smaller store updates, and consolidate high-rate debt to improve its cash flow. Purchasing a new freezer helped protect against inventory loss, while consolidating debt allowed for more cash-on-hand each month. 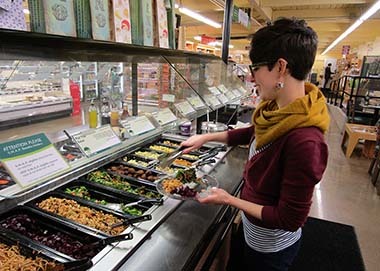 First Alternative is more than just a grocery store in Corvallis. It’s a substantial job generator, employing over 150 full- and part-time staff, who are provided with health benefits and paid time off. 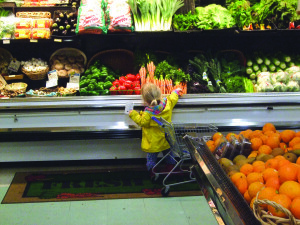 Its stores donate to local food banks and promote other local businesses and co-ops. The South Corvallis location hosts a community recycling center and provides meeting space to local groups as varied at Alcoholics Anonymous and the Corvallis Sustainability Coalition. It’s the area’s largest vendor of disc golf equipment – a sport popular with both kids and adults. And in partnership with the Coalition and other local groups, the co-op set up a rain garden water recycling system for its South location. Water used to wash hands in the public restroom is recycled to flush toilets. These upgrades help First Alternative maintain its role as an anchor in the community, and provide much-needed services within Corvallis. Capital Impact Partners supports cooperative development because we know that co-ops help build successful, vibrant communities, just like the one First Alternative is fostering in Corvallis. We also make a priority of partnering with retailers who look beyond their retail operation, and provide essential services to their shoppers. Are you a co-op interested in financing? Contact us to learn more about our cooperative development opportunities. Through Innovate for Impact, we share experiences, knowledge and stories about how Community Development Financial Institutions (CDFIs) like Capital Impact operate to help further growth of the sector. It is our goal to serve as an ongoing source of practical information and innovative ideas that empower you to amplify your impact for those most in need. If you have a topic you would like to see us cover or would like to guest blog, please don't hesitate to contact us for details. © Copyright 2014 Capital Impact Partners. All Rights Reserved.